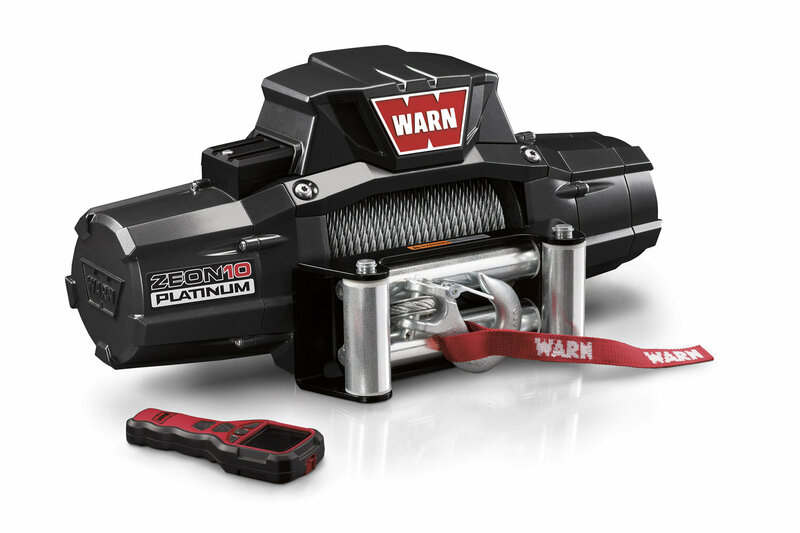 Winchings gold standard has just been raised: introducing ZEON Platinum. Featuring the Advanced Wireless Remotethe new command central control. With remote clutch, vehicle battery feedback, and even auxiliary controls for lights and more. 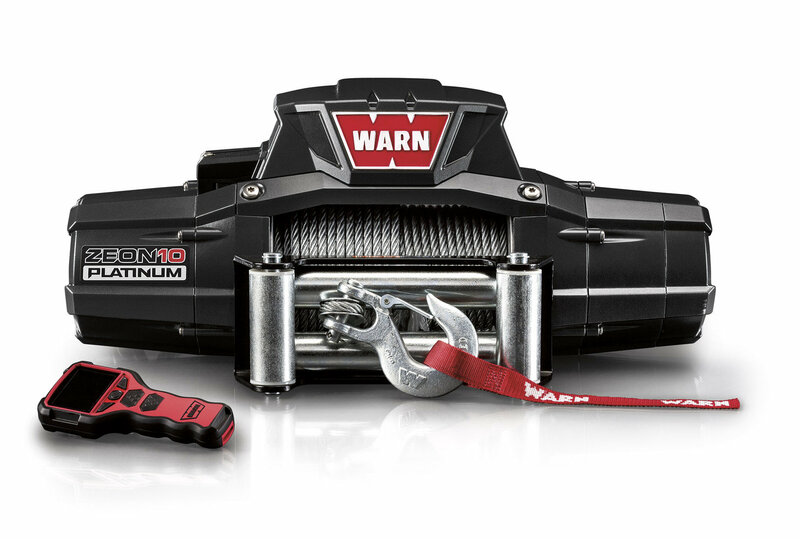 Combine this with a new high-performance package and extreme waterproofing and you have the toughest, most technologically-advanced winch on the trail today. 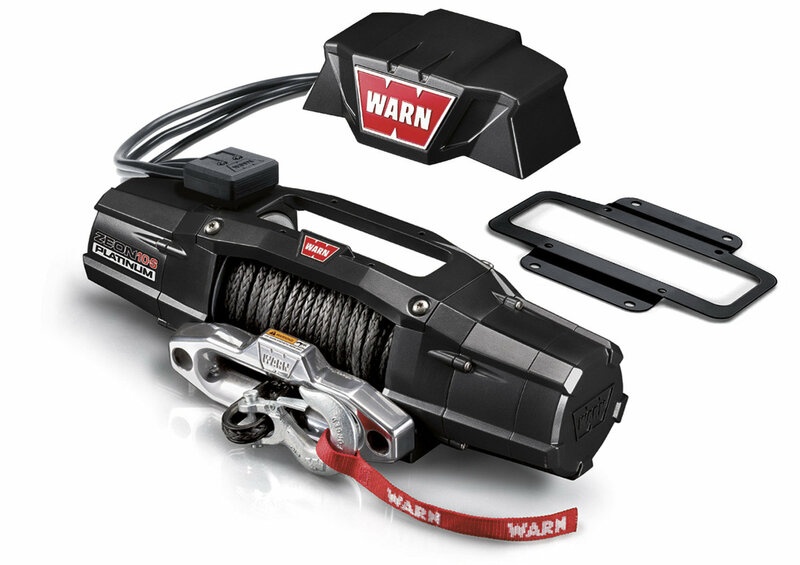 Backed by the WARN Limited Lifetime Warranty. 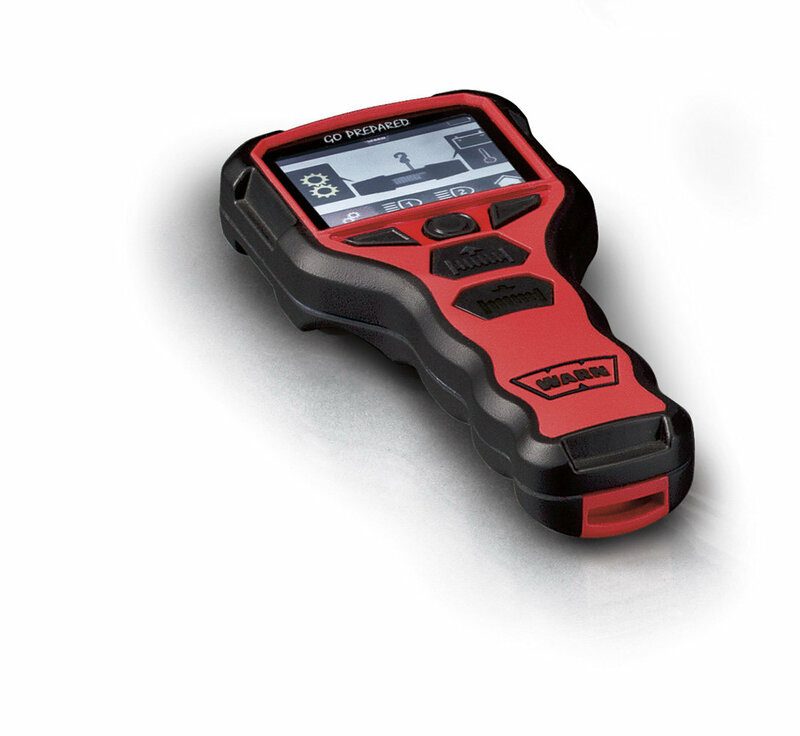 operator feedback on vehicle battery charge and winch motor temperature, controls operation of the winch clutch, and more.Includes USB charging cable and car charger adapter. clutch with frozen fingers while standing in the mud. Durable aluminum structure with flat black powder-coated finish and stainless steel fasteners delivers durability and maximum corrosion resistanceexceeding 400 hours of salt-spray testing. 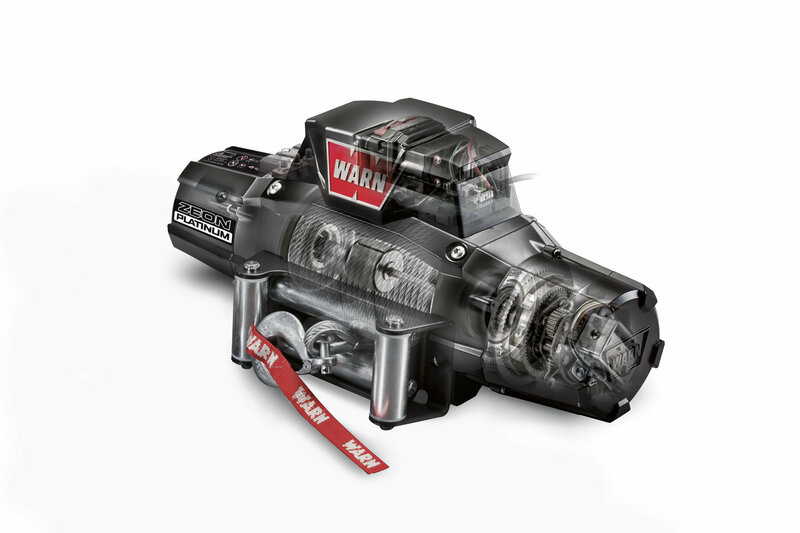 Extreme waterproofing meets rigorous IP68 standardsthe highest rating in the WARN Truck/SUV winch lineup. 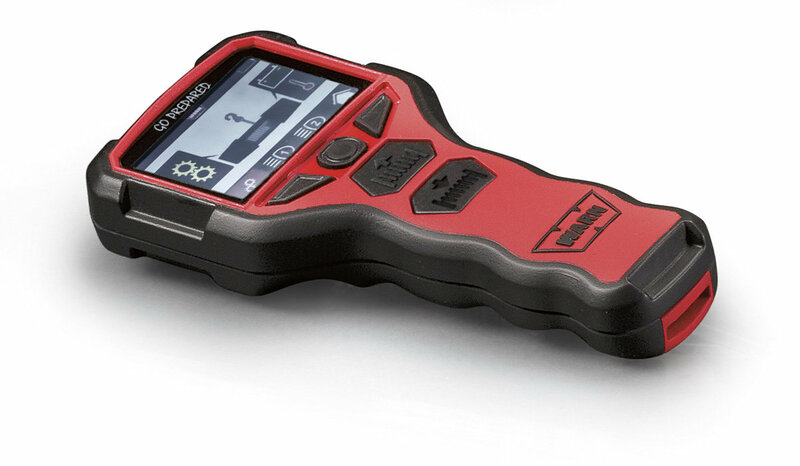 pack with contactor and advanced controls gives you extreme reliability and weather resistance. 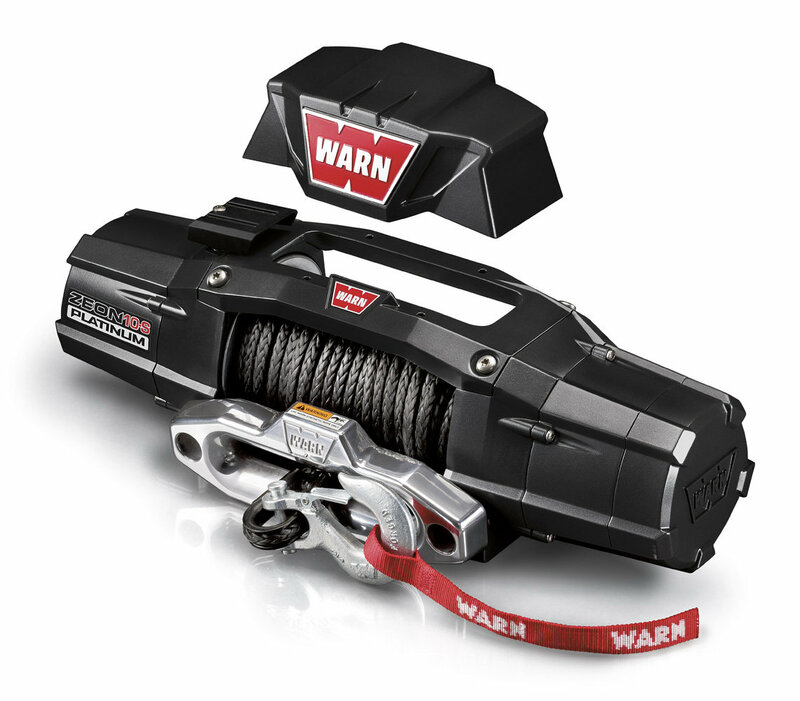 Includes 80 of 3/8 aircraft-grade wire rope and a roller fairlead. Integrated configuration 24.25" L. x 7.15" D. x 10.52" H.
Low-profile configuration 24.25" L. x 7.84" D. x 10.52" H.
Mounting Bolt Pattern: 10.0" x 4.5"